Italia Oggi is one of the finest Italian Restaurants in Amsterdam. Whether you choose our delicious Antipasti, Pasta Fresca, Meat of Fish; at Italia Oggi everything is prepared with passion and love for the Italian Cuisine and with fresh ingredients. When you’re enjoying a delicious dinner and matching wines in our traditional Italian restaurant it feels like you’re in Italy for a moment. In addition to our traditional menu our chef provides some ‘specials of the day’. Visit our restaurant to enjoy these specialties. Do you have something to celebrate? Our Italian Restaurant is ideal for a romantic dinner with your loved one, a nice dinner with friends or for corporate events. The restaurant is located in the city centre of Amsterdam and is within walking distance (5min) from the Central Station. Also within walking distance are the ‘Nieuwmarkt’ and the famous Red Light District. Italian Restaurant Italia Oggi is well known in Amsterdam since 2005. Host Massimo brings his passion and love for the Italian cuisine over to our guests since the start of our Restaurant. Italia Oggi is known for it’s good price and friendly service. Our restaurant seats up to 70 guests. 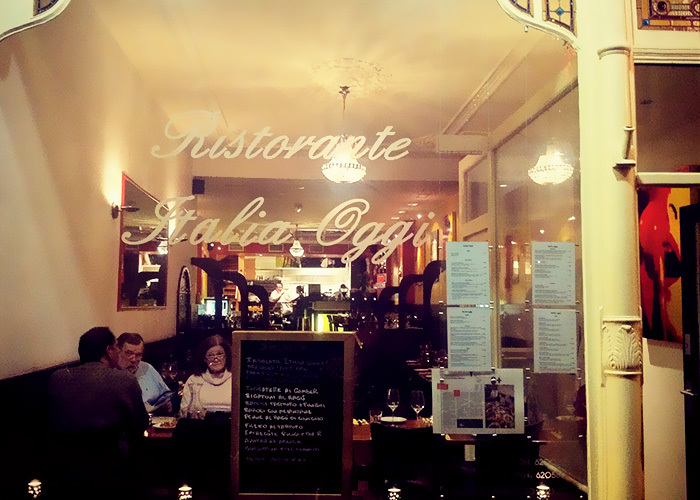 Large groups can also book in Italian Restaurant Italia Oggi. 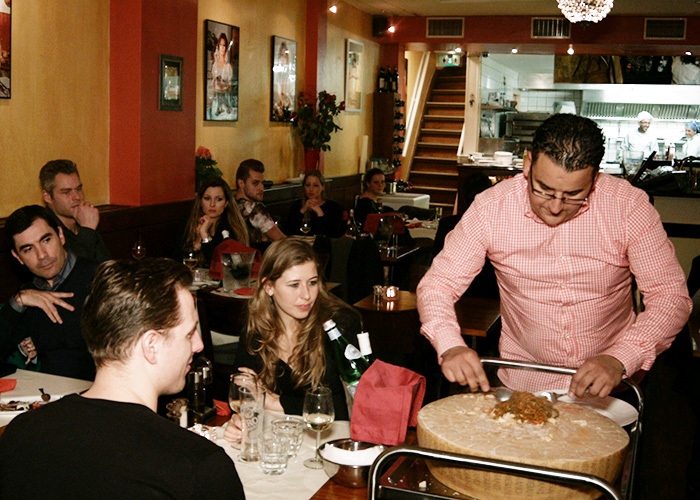 Italian Restaurant Italia Oggi is located in Amsterdam at the Binnen Bantammerstraat number 11. Below are some photos to give you an impression of our restaurant. 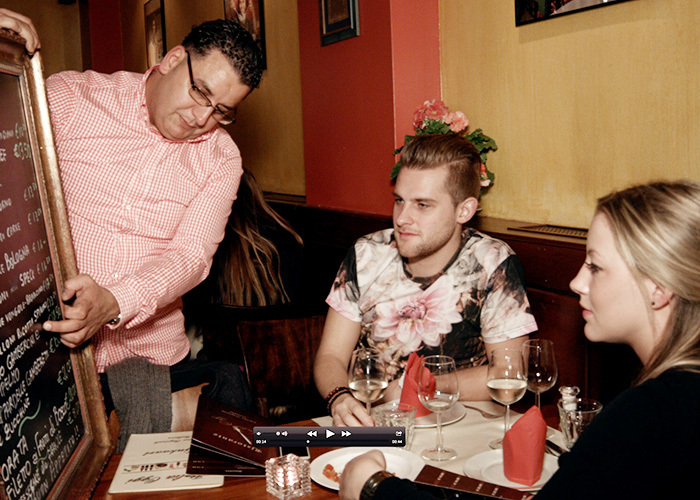 Dinner with a large group of friends, family, colleagues or acquaintances in Amsterdam? Italia Oggi is ideally suited for groups. With over 70 seats, large groups can easily enjoy the delicious Italian cuisine in our restaurant. Our restaurant is located within walking distance of the Central Station (5 min), the famous Red Light District and the cosy Nieuwmarkt with lots of bars. Reservations can be made by telephone: 0031-(0)206200898 / 0031-(0)621806400 or you can fill-in the reservation form below. Here you can ask a question or make a reservation.